Here it is! 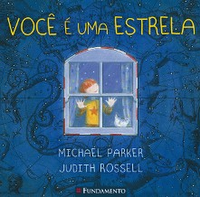 You Are A Star (written by Michael Parker) for Brazil. Hooray! In Portuguese, the title is Voce é uma estrela. I am so proud of this book, it makes me very happy to see it in translation.